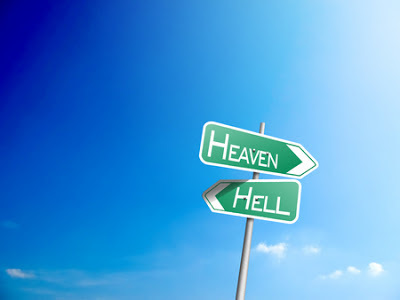 Back in March of 2010, I read a blog post by David Flowers titled Hell: Eternal Torture? I was prompted to comment on David’s post and also posted my reply here on this site and titled it God Will Have His Perfect Way. At that time, I checked a little option box at David’s blog saying that I wanted to get emails of any future comments pertaining to that post. Over the past three years, comments have come and gone, and I’ve not been compelled to comment again, until last night. Yesterday, a man named Andrew posted his comments and asked particular questions beginning with “Is anyone up for this subject?” His comments caused me to want to immediately reply. Is anyone up for this subject? David perhaps? For example, if someone had a well-meaning idea to solve poverty and make everyone rich by giving everyone a million dollars, most of us could see why that wouldn’t work, and would even be counter-productive to the cause of the problem. Even setting aside scripture, I don’t see how Universalism is loving, attractive, or even feasible, at least not within a context that allows us to have free will. And if we were not free willed creatures, then why would we be given the illusion of free will? And as I see creation, given to us for examples and illustration, everything I see reinforces the concept that there is such a thing as final death. … which is why God gives us examples of wheat harvested among chaff, tares, and weeds… and the parable of the father and the prodigal son does not sound Universalist to me. 1) Why Univeralism would be loving? 2) How Universalism could be compatible with free will? 4) How a Universalist might react if they were to discover in that final day that God was actually destroying the wicked in the most literal sense? Andrew, in some of the things you are initially proposing in your comments, I think you are making God too human-natured, and God is not human at all. God is spirit and GOD is GOD. God is not a man that He should be considered to think and act like a man or be limited in power like a man. Free will is a human illusion. While we are not puppets, our will is not truly free because our will—all the choices and decisions we make—are influenced by something. There are reasons for everything that we choose to do or not do. These reasons have come from who we are and our experiences in the life that God has given each one of us. (I explain a bit more about free will at my own blog: Is There Such a Things As Free Will?) Ultimate reconciliation does not need to be compatible with free will because there truly is no such thing. Humans seem to have made a demi-god of their imagined concept of “free will”. It’s only an illusion created to make us feel like we have control and power. Jesus said in John 12:32: “And I, if I am lifted up from the earth, will draw all men to Myself.” Through Christ, and in His perfect love and ways, God will draw (not demand or force) and bring everyone to love Him. It has nothing to do with “stalking” in the ways us humans define stalking. God will not be doing this in ways in which violates or threatens as a human “stalker” would do. A stalker does not LOVE a person. A stalker is obsessed with having a person. God LOVES perfectly, and He will bring all to repentance at some point; *bring*, not stalk or beat them into repentance. The parables you are mentioning spoken by Jesus are being taken out of proper context. What we call our Bible was not all written TO us. While we can learn from ALL Scripture and all Scripture is profitable and helpful, a lot of it was written about Israel and to Israel and has to do with how God dealt with and will be dealing with Israel in the future. We are Gentiles and will do much better paying attention to what Paul said to our fellow Gentiles in his letters. It was PAUL who was sent to reach the Gentiles (those people of other nations outside of Israel). This mixing up and jumbling of Scriptures and of things that do not have to do with us Gentiles is the cause of a great deal of confusion and misunderstanding. God ultimately bringing everyone to reconciliation with Himself is not merely about being loving, it is about what God chooses to do because He is love, love never fails, and it is what He wills to be done. It is what he desires to do and therefore will do. God has already conciliated (“made up”) with mankind and the world through Christ (2 Corinthians 5:18-20). It’s just a matter of Him drawing, bringing, leading all mankind into reconciliation (“making up”) with Him. There is judgment and death spoken of in the Scriptures. The first death is the one when we die in these earthly bodies. Then there is a second death in the future, after the resurrection, at the lake of fire. However, neither of these deaths is about never ending eternal conscious torment or annihilation. We are also told in 1 Corinthians 15 that in the end, the last enemy Christ will overcome is death and that it will be completely abolished. If you are interested in reading David Flowers’ post in its entirety and all related comments, you can do so at his link Hell: Eternal Torture?